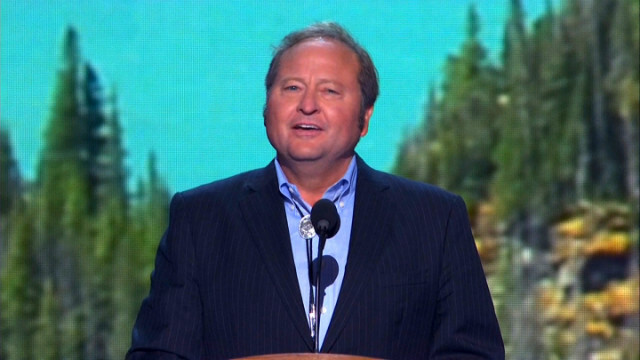 Altoona, Iowa (CNN) – Brian Schweitzer, a former Montana governor and self-styled prairie populist who wants to be part of the Democratic presidential conversation for 2016, drew a bright line between himself and presumed frontrunner Hillary Clinton on Wednesday by raising an topic that has largely faded from the political spotlight amid rising economic anxiety: the Iraq War. In a speech to Iowa Democrats in the Des Moines suburb of Altoona, and in remarks to reporters, Schweitzer repeatedly chided Senate Democrats who voted in 2002 to green light military action in Iraq. with the Democratic base and allowed Barack Obama to win over anti-war liberals in their 2008 nomination fight. first-in-the-nation caucus state that derailed Clinton’s candidacy almost six years ago, was unmistakable. Schweitzer, though, insisted he wasn’t attacking the presumed frontrunner. country. Democrats are always excited about tomorrow and we always want to know what the future is. We don’t want to talk about the past. Midwestern nods to cattle and 4H, his Iraq observations seemed somewhat dated. “Are you tweeting from 2004?” one Twitter user wrote to a reporter covering the speech. The Iraq war was a made up story of WMDs by the war criminal #43 the trigger happy vp and his minions. In any other country they would be living in seclusion or in jail. Iraq is Bush fault. Just know this, any way USA doesn't give darn hoot at Iraq, nor Your Benghazi. Yes, on Hillary16. The Kochs will immediately spend $10 million to discredit Schweitzer. Adelson will add an additional $5 million. After all, when somebody criticizes a war, it hurts Jeb's chances. Who is this tool think he is, he would have voted for it too, bush lied to them all . I would expect this from a Republican, and true self promotion should never rely on this person did that, why not tell us all the good you have done, crickets. I cant remember the last time a gop candidate could run on his / her merits. It's always bash the Democrats, always, most of us are glad when our children outgrow that stage. This guy is radical liberal nobody. Clinton showed courage and common sense with her vote. IMO, one of the bright spots for her career. It`s a shame the liberal base betrayed her and other dems who stood strong for the USA. Right, because governors have proven to be foreign policy experts. Creepy guy all around. Wow Barry......Nothing wrong with shooting for the stars....but let's not get all conservative up in here. It's ncredible that someone would bring the Iraq War back into the conversation in order to score political points. Democrats voted the way they did because they put their trust into the Bush administration. The administration told the Congress the same thing about the intellilgence that they had told the American People. The Bush administration claimed it was a top priority secret that could not be widely disclosed....and they didn't. Still haven't done it. The administration had even come up with some intellligence about a mobile chemical weapons lab. It was supposedly inside of tractor trailor, capable of moving around at highway speeds. Remember that one? Never found it, nor any evidence that it had actually existed. Most folks went along with it because we were a nation under attack from hidden forces. Not me, though. So, why demogogue Clinton for voting to go to war? They were given briefings that the Bush administration now acknowledges to be flawed. Flawed? Are you kidding me?